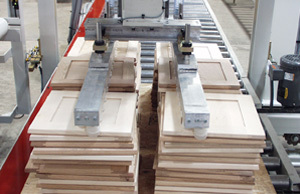 Cabinet Door Finishing Line Feeding System – Creative Automation, Inc. 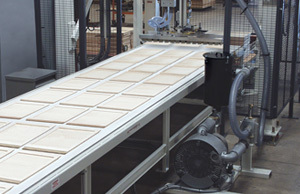 Cabinet door feeding systems by Creative Automation include load conveyors, servo-driven feeders and wide belt conveyors. 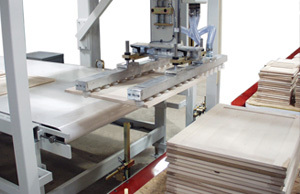 Servo-driven feeder handles a variety of part sizes with no setup. Imperfect stacks are handled easily and efficiently.